The picture I snapped last week on my return flight home from my Chicago hub to Louisville does not do the scene justice. 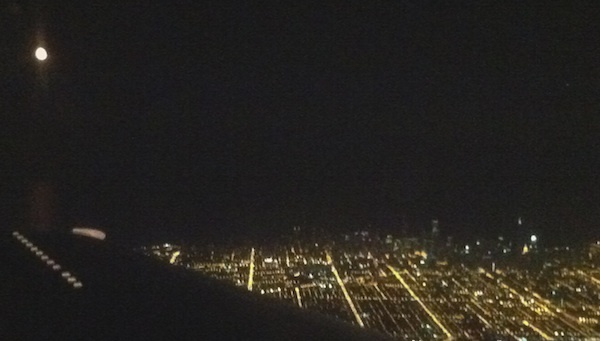 We had taken off and were ascending just west of downtown Chicago. The large, almost-full moon bathed the golden night grid of Chicago with a similar color. Of course, the moon looked much larger in person and it awed me enough to deviate from the no electronics ban and quickly capture the moment.